2. Read outside your preferred genre! 3. DO NOT compare yourself to other writers! Your writing journey is unique. 7. Writing is an exciting journey… the destination is simply a bonus! THANK YOU LADIES! YOU ROCK! Good question, but the Lazy Housewife makes time! Tara Tyler writes sci fi, thriller, and fantasy, with dabs of romance and humor and tips for efficient living. Something for everyone. 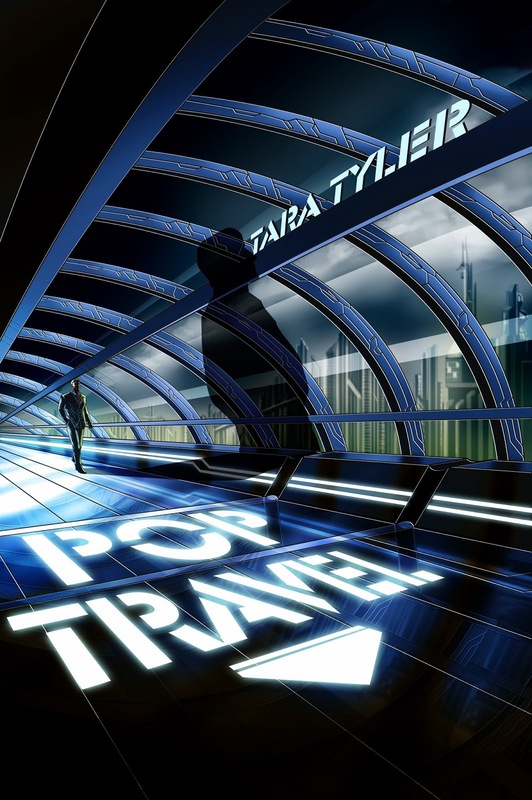 Pop Travel is sci fi noir, a cat and mouse game where the hard-boiled detective is chased across the world, “popping” with teleportation, which has a deadly flaw he is determined to expose. Cooper can’t broadcast the video on the nosy, government monitored Qnet, so he digs around, revealing more suspicious traveler disappearances, the death of his client, and threats to his political little brother, who is in jeopardy of turning to dust anyway for disregarding Cooper’s warnings not to pop. Cooper has to do everything himself. To stop the disappearances and save his brother he must shut down the ruthless mega corp Pop Travel International (PTI). And that means convincing HasanRakhi, the celebrity Creator of pop travel, to publicly admit the deadly flaw. No problem. Under constant surveillance, Cooper will have to be unpredictable, facing his fear of popping to crash a party at Hasan’s well-fortified plantation compound. Yes, the laser fences are real. As long as he survives his next pop, Cooper won’t let anything distract him from getting the job done. Not the android security guards, who aren’t as bright as they look, or even Southern Comfort in a purple dress, Geri Harper (an undercover Agent). Nothing Coop can’t handle. congrats on your awards! i love the sunshine songs & positive tips!! and you are a fabulous friend!! thanks so much for the promo!! Hi Michelle .. great songs – I love being reminded of them, as I'm so unmusical. Congratulations on the awards … and then Tara's book .. it does look good and that cover art is stupendous – reminds me of the wonderful posters of yore .. I've got Walking on Sunshine in my head now – after walking in the rain all day! Congratulations on both of your awards. Tara's book cover is very edgy! Great cover! I expected nothing less from the talented artist Tara is! @Tara Tyler ~ I'm soooo happy that I could help you promote your book! You've been a wonderful friend to me! @Alex~ Old? Well, that makes two of us, Alex. I remember KC and The Sunshine Band very very well… they sang Shake Shake Shake, Shake Your Booty… oopsy, that shows my age… he!he! I love the song, "Walking on Sunshine." It makes me want to get up and dance! Congratulations on your awards, and congratulations to Tara. I've seen her cover all over the blogosphere, and it looks great! Congrats on the awards! And I love Tara's cover art! It's awesome! Congrats on the awards Bring Me Sunshine! Congrats Tara Tyler. Awesome sounding novel. I think you rock, Michelle. What an awesome post! @Cherie~ Thanks for stopping by! Her cover art is fantastic! @Joylene~ Thank you Joylene! You rock too, my friend! 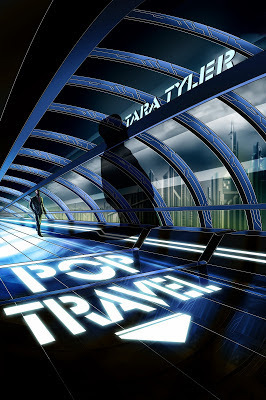 So excited for Tara – love the pop travel idea! All great sunshine songs – so many of my favourites! Lots of stuff here, Michelle. Really nice cover. Love, love, love that Bill Withers song! Tara's cover is really, really spiffy. I give it a thumbs up. Also, I love the sunshine songs you listed. Nice! Okay, now I'm singing a random mish-mash of sunshine songs in my head 🙂 Love to cover for Pop Travel (and seriously wish it were real, and ya know, safe, because I'd certainly love not to drive anywhere!). @Jemi~ That pop travel concept is great! @Joy~ That song is one that tugs at my heartstrings… in a good kinda way… it's evergreen! @Medeia~ Her cover is perfect, a really good match with the concept. @Shelly~ Hugs and choccies to you too! @Meradeth~ Hey, it will probably still come to pass… one day in the not-too-distant-future… Remember that what was regarded as science fiction in the past, has since become science fact! All those awards must be a testiment to your awesomeness 🙂 Congrats! Ohhhh… I love the whole "destination is just a bonus" bit. I've never heard that before, but I love it! Great post, Michelle. And so glad you gave a shout out to Tara! That cover is amazing. There are so many awesome covers these days! Tara's cover is really cool. Excellent #1 song — I fell in love with that one in Notting Hill. 🙂 Hehe, I had the same question as Suze, so thanks for answering—excellent advice btw. Tara's cover is super-awesome. Love the way her name & the tile are incorporated into the pic. @Morgan~ I truly believe that the journey is most important… with a whole bunch of awesome fellow travellers… how can I lose? @Robyn~ I was just saying the other day, that bloggers have raised the bar really high when it comes to cover art… it gets better and better. The Beatles have some AWESOME music. @L.Diane~ It's a visual feast… and really goes well with the whole concept of pop travel! Those are some great sunshine songs! Classic. Your writing advice is great and very true. I always compare myself to other writers. Thank you for always sharing your sunshine. Woot for Tara! Her cover is awesome. And yay for your awards. You thought up more sunshine songs than I would have. Lately I'm trying to write what scares me… what makes me feel like I'm teetering on the edge. The benefit of reading outside the genre is you learn techniques that you've never considered an issue before (like pacing in thrillers). Great writing advice. Though is it bad I had to look up the acronym BICHOK? Congratulations on your awards, Michelle! Well deserved. Thanks for sending me down memory lane with those songs. 🙂 Cool writing tips. Congrats on the awards and to Tara! There's also Good Day Sunshine by the Beatles, nice tune. And good old Eric 'n' Ernie, Bring Me Sunshine, though not sure if you'll get that reference! 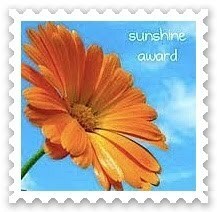 @Murees~ Thanks for the sushine award! @Stina~ I have to admit that I'm still not too sure about the difference between YA and NA? And Tara's cover is awesome, can't wait to read her book. Congrats on the awards! SO well deserved. I know I really appreciated all of your kind comments during the A-Z. Tara's cover is AWESOME! I wish I had the opportunity to feature it during the challenge. Just think of the intro I could have created!